Still Need Plans for St. Patrick's Day?! 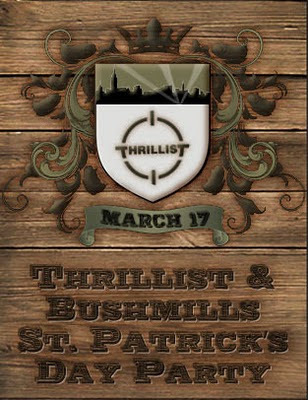 Thrillist and Bushmills invite you to go green or go home at our St. Patrick's Day Party. Featuring a handsomely Irish line-up of drinks from Bushmills, a deep roster of NYC DJ's spinning with fiddlers, a Riverdance versus Breakdance dance-off and both pinball and foosball tables, leaving it just a skeeball machine short of a coveted triball council. i got excited (i DO need something to do for st. patty's day)... but i live in la. so. there ya go. good luck!